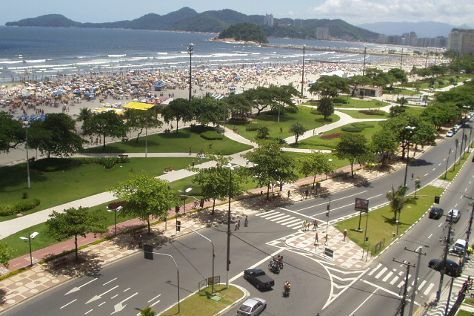 Venture out of the city with trips to Frances Beach (in Marechal Deodoro), Paripueira Beach (in Paripueira) and Gunga Beach (in Roteiro). Next up on the itinerary: enjoy the sand and surf at Praia de Ipioca, take in the architecture and atmosphere at Nossa Senhora do Livramento Church, hunt for treasures at Craft Fair of Pajucara, and look for gifts at Parque Shopping Maceio. For where to stay, other places to visit, more things to do, and more tourist information, you can read our Maceio sightseeing planning tool . Sao Paulo to Maceio is an approximately 5-hour flight. You can also do a combination of bus and flight; or drive. Plan for somewhat warmer temperatures traveling from Sao Paulo in April, with highs in Maceio at 36°C and lows at 26°C. Finish your sightseeing early on the 6th (Sat) to allow enough time to travel to Peruibe. With an urban area lining the Atlantic coast and the Serra do Mar mountains as backdrop, Peruibe attracts visitors to the diverse topography and nature typical of southeastern Brazil. Get out of town with these interesting Peruibe side-trips: Porchat island (in Sao Vicente), Orla e Jardins da Praia de Santos (in Santos) and Memorial dos Voluntarios (in Praia Grande). There's still lots to do: take in the spiritual surroundings of Fo Guang Shan Brazil - Zu Lai Temple, kick back and relax at Praia Guarau, tour the pleasant surroundings at Campos Eliseos Beach, and make a trip to Templo Odsal Ling. To find ratings, where to stay, more things to do, and tourist information, use the Peruibe journey planner. Explore your travel options from Maceio to Peruibe with the Route module. The time zone difference moving from Brasilia Time to Amazon Time is minus 1 hour. Finish up your sightseeing early on the 12th (Fri) so you can travel back home.